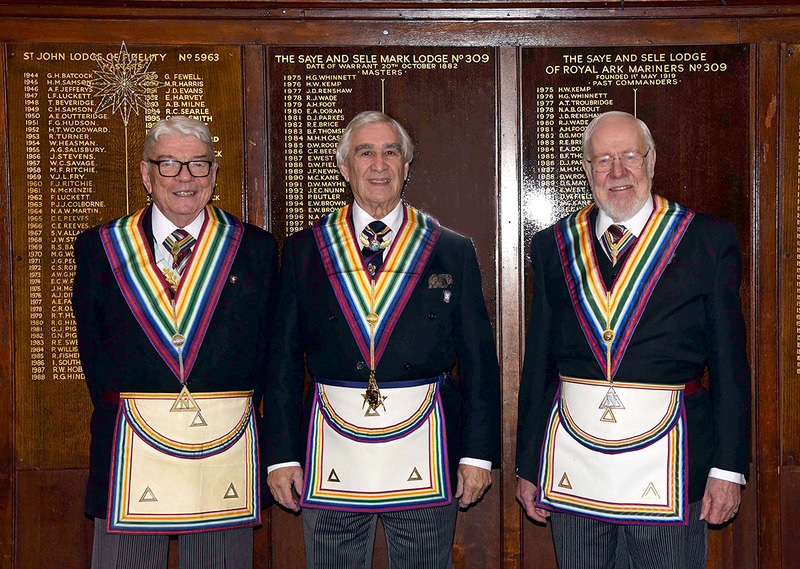 ​Sidcup's Saye & Sele Lodge of Royal Ark Mariners No.309 commenced their centenary year in style on Monday November 19th when RW. Bro. Roland Wade, Past Provincial Grand Master, was installed as Worshipful Commander. The ceremony was excellently performed by RW. Bro. Keith Emerson, Past Deputy Grand Master, who is a long standing friend of Bro. Roland. The Address to the Commander was given by RW. Bro. Roger Croucher, Past Provincial Grand Master, who was the Representative of the PGM for this evening. The Lodge's centenary meeting will take place in Dartford on Monday 13th May 2019. More details will follow in due course.